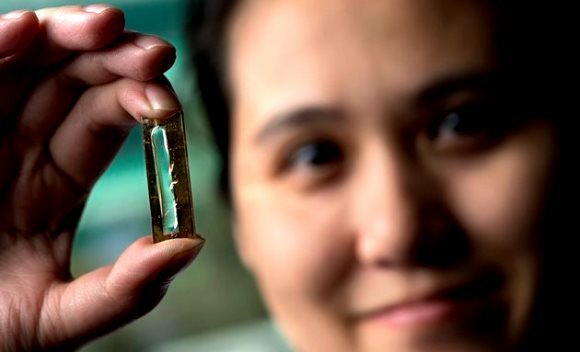 Imagine a battery that can be recharged hundreds of thousands of times without ever corroding. A team of researchers at the University of California, Irvine, recently has invented just that using a nanowire-based battery material. This doesn’t mean that we’ll soon see such batteries on store shelves. The new research was intended to test nanowires and not a practical battery, research co-author Dr. Reginald Penner, chemistry professor at the university, told The Huffington Post on Friday. The new battery technology, however, could edge us closer to possibly developing longer lasting commercial batteries for computers, smartphones, cars and spacecraft in the future. “Scientists are interested in nanowires because they allow high power to be obtained, without reducing the total amount of energy that is stored,” Penner said. “But nanowires are fragile,” he added. For the research, published in the journal Energy Letters on Wednesday, gold nanowires were coated with a manganese dioxide shell and encased in an electrolyte made of a Plexiglas-like gel. The nanowires are each thousands of times thinner than a human hair. Next, the researchers tested the power of the electrode up to 200,000 times over three months. They were shocked to find that, despite all of the tests, there was no loss of capacity or power and the nanowires didn’t fracture. “We were not attempting to extend the cycle life of these electrodes — we just were trying to prepare a solid state version of ​them by substituting a gel electrolyte for the liquid electrolyte,” Penner said. Such batteries so far have been engineered to withstand only a certain number of cycles. Previous studies by other scientists have yielded nanowires that could only achieve 7,000 cycles, Discovery News reported. 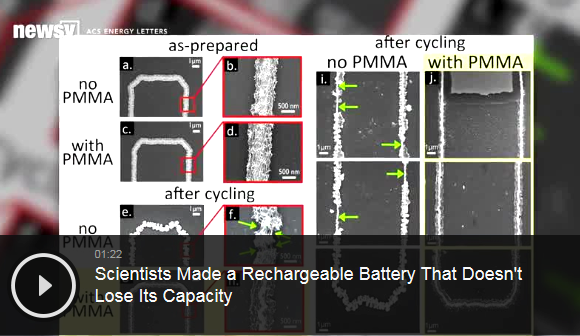 The researchers concluded that the gel may plasticize the metal oxide in the battery and give it added flexibility, while also preventing any cracking — allowing it to last longer than expected. “The coated electrode holds its shape much better, making it a more reliable option,” said research lead author Mya Le Thai, a UCI doctoral candidate, in a statement.